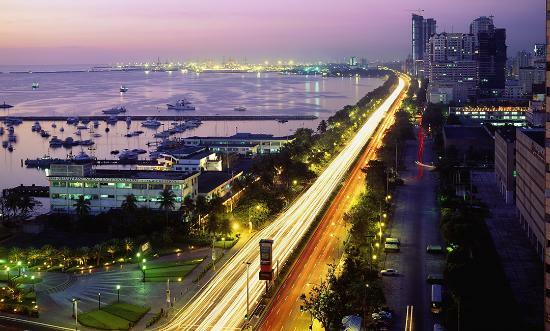 Splendid Malaysia, popularly known to be a “land of mountains”, lies along the Straits of Malacca with densely forested hilly areas, sparkling rivers, white sandy stretches, beautiful parks and gardens, an enticing skyline and grand shopping malls. 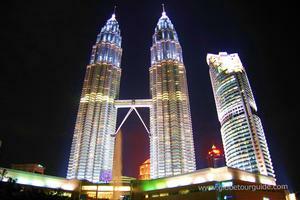 Our Malaysia Holiday Package will lead you to Kuala Lumpur, its capital city, with an endearing charm. A trip to the Petrona twin towers at Kuala Lumpur, on the elevator, is a visual delight! The King’s Palace, the Malaysian houses of Parliament along the beautiful Lake Gardens, the national mosque, the Kuala Lumpur Tower, and the longest painting in the world along the walls of its Pudu jail, are the other charms of its capital. Penang, rich with monuments, and Taman Negara, for its view into the wildlife and adventure activities, are much sought after by tourists. The Genting Islands, an elaborate theme park, is famous for its mini-Disney world, with outdoor activities exciting all age-groups, and the indoor location for its casinos and day-night entertainment of music and song. Travellers, intrigued by nature, are shown the home of the endangered and rare animal and bird species, besides the largest species of flora on their Malaysia Tour Package. Outdoor activities include exploration of caves containing ancient rock paintings and rare artefacts, hiking, visiting the original inhabitants and waterfalls. The adventure enthusiasts move towards an exciting marine life, white water rafting, rock climbing, surfing activities, night treks in the jungles and observing wildlife. Malaysia has an interesting architectural blend of Indian, Asian and Portuguese styles, noticeable in its old palaces and monuments. Quaint water villages with community homes built on “stilts”, to save the houses from being flooded, can be reached by a canoe. You will find from your Malaysia Holiday Package that Malaysia is also a destination for spas, herbal baths, oil massages, saunas and jaccuzis, found in various locations. Many events are earmarked from September to December including: the Serawak Regatta featuring traditional longboats, fishing competitions, the Malaysian Motorcycle Grand Prix, an international Climbathon-Adventure series, the Viper Challenge that is an obstacle race, live music shows including an International Jazz Festival in Penang, besides the Hari Raya Aidiladha and Deepawali celebrations. Last but not the least, the Fabulous Food Malaysia, will showcase the diversity of the Malaysian cuisine from 1 October-31 December. The markets are full of colourful dresses of traditional batik, sarongs, kebayas, songket, pua kumbu and tekat, while a vast range of duty-free items propagates Malaysia as a shoppers’ paradise, with lucrative bargains. During your Malaysia Honeymoon Package you will find that Malaysians are habitual of adorning themselves with jewellery, and so a vast range and variety of ornaments in gold, silver and intricately studded gems are available to feast the eyes and are worth buying, highlighting exquisite craftsmanship. While Malay, Chinese, Thai, Indian and Javanese cuisine is abundantly found, there are also designer restaurants. Penang is known for excellent hawkers stalls; Melaka has quaint cafes in historical shop-houses serving the mouth-watering Baba Nyonya food; Ipoh is visited for its local savouries; while Kelantan serves exotic Malay food. The foodies’ delight comes from an incredible variety of cuisine: an amalgamation of its different inhabitants, including rich gourmet food and the ultimate skill of endless hawkers’ offerings, promoting roadside eateries with their specialities.